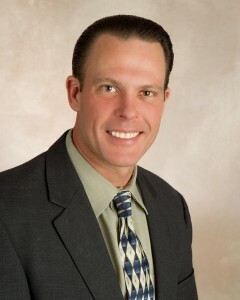 James Chrobocinski has been a licensed real estate broker since 2004. He obtained his real estate license in Corpus Christi, Texas and a few years later became the owner of the Padre Island branch of Corpus Christi Realty Group. James’ spent 26 years in Corpus Christi, Texas. He moved there from Los Alamos with his father Tom Chrobocinski after junior high school. He decided it was time to return home after losing his mother in February 2012 and his grandmother in 2010. After returning to Los Alamos, James became a qualifying broker and the owner of Zia Realty Group. In January, he purchased the real estate division of REA from Pearl White and a short time later purchased Los Alamos Properties from David Horpedahl. He has since opened an office Santa Fe and Pojoaque and plans to grow Zia Realty Group throughout the state within the next seven years. James has deep ties to Los Alamos. His grandfather and namesake James Bramble, 93, has lived in Los Alamos since the Manhattan Project era of the 1940s. His Grandmother Pat Bramble died in March of 2010.James’ stepfather John Foster works at Los Alamos National Laboratory and his brother Randy Chrobocinski Foster is a Santa Fe sheriff married to local veterinarian Shayna Whitaker. James’ sister is Jennifer Foster King who is the physician market manager for Los Alamos Medical Center. James’ younger brother is Joe Foster who works in IT at LANL and his wife Erica is a nurse at Presbyterian Health Services in Espanola. James’ uncle Bill Bramble graduated from Los Alamos High School. Chrobocinski’s mother Jeannie Bramble Foster also graduated from Los Alamos High School. She worked many years as a registered nurse in Los Alamos and real estate broker for well-known broker Pat Rogers. James earned his nursing license and went on to work in healthcare management for 15 years. He met his wife Jacqueline while working in a large hospital in Corpus Christi. The Chrobocinski’s married nine years ago and have a son JJ, 7, who attends Mountain Elementary School. Chrobocinski is a member of the Rotary Club of Los Alamos and serves as president of Los Alamos Little League.